I‘m thrilled to be doing a giveaway for six packets of these gorgeous natural paints. 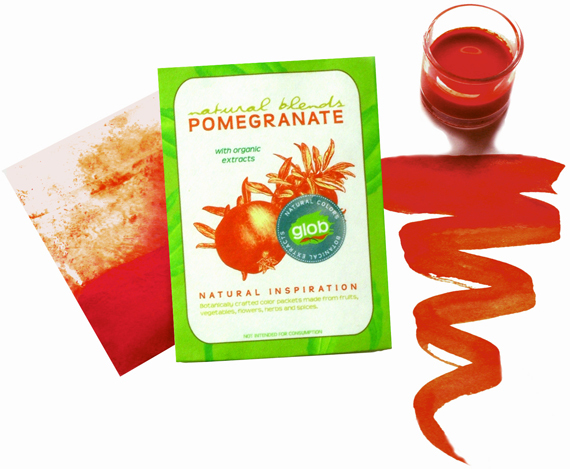 Our competition sponsor, GLOB™, have botanically crafted colors made from fruits, vegetables, flowers and spices for use in crafts and DIY projects. These water-soluble pigments become paint just by adding water and the range of colours includes lemon verbena, tangerine, pomegranate, plum purple, berry blue and basil green. GLOB™ Natural Color Blends were developed first and foremost with safety and sustainability in mind. Using food-grade ingredients, their natural color blends are gluten-free, soy-free and vegan. They also use eco-friendly biodegradable packaging and recycled materials. Check out the globiton website to see more products in the range. If you want to enter just leave a comment below…easy! Entries close on the 4th August 2010 and I will draw the winner on the 5th. Good luck! Book winners // new project in progress! Just visiting your website for the first time (following link on whipup). Love it! This is a great idea! People have been making pigments this way since the beginning of time, what a great way to go back to our roots! thank goodness for naturals! who knows what gunk is in traditional stuff. These paints look amazing! I would love these. Much easier to store these versus a huge cache of half used buckets and pails. Can’t wait to try GLOB! These are so cool! Its like art meets science, well kind of. Lol. Ooh… I’m sure my kids would love them! These are great to have in the house for when my grandchildren visit me in France. It’s good to know they are safe for little ones. Wonderful website, love it! Thanks for passing on the idea of these wonderful paints. I can’t find anything like this where I live and I’ll be ordering some anyway. I’m sure my kids will love them. I’m a new visitor (lovely blog!) and pleasantly surprised to find this post on eco paints since I recently found out about them. My best friend is about to have a baby and I keep looking for nice, safe, healthy alternatives for all the fun toys and games I knew as a kid. And these colors look so beautiful! 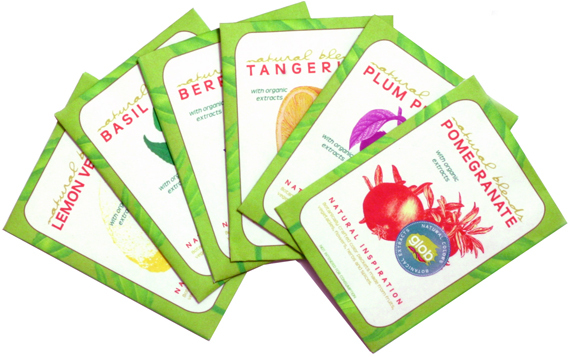 Love the packaging AND they’re completely natural and eco-friendly! Holy smokes, these are great! I’d love to try them out at home and in my preschool classrooms! Being creative and encouraging creativity in my daughter has made me a stickler for high quality art materials – these not only look like they have beautiful, intense pigments which would be lovely to paint with but all of the thought that has gone into making them a natural, sustainable product is amazing. And even the design of the packaging and the names of the colours are delightful! Thankyou so much for the link – this is such a natural step for our family as we do our very best to limit the amount of nasty synthetic chemicals in our food and our lives in general…the world definately needs more products like this!! First time at your site. The playdough dye idea really caught my eye as kids could see the process from start to finish. I imagine they will want to dye everything else they can after the playdough is done. These paints look amazing! I’d love to try them with my toddler. Wow! The colours look so vibrant! Would love this so I can go finger painting with my toddler without freaking out if she does ingest some by accident! Long time reader, first time commenter! I am amazed at how vibrant these colours are and what a compliment to your recent playdough post … which I’m planning on making this weekend! Lovely blog. Just found your blog, and love all of your ideas! Thanks so much! Thanks for a beneficial blog post!